My recent research has focused on student understanding on the learning of physics. This is a field classified as Physics Education Research. A Google search will yield many PER groups, notably those at Oregon State University and Montana State University. I am currently developing 3D Printable Tactile Physics Learning Objects including physical objects such as pulleys and levers as well as calculated surfaces such as diffraction patterns and normal distributions. See my 3D printable objects page for a full list. I have created several HTML5 applets to aid in learning of physics, including Newton's Second Law and a Special Relativity Lorentz Transformation applets. Please see my HTML5 page for a full list. I recently made available on this Website a converted version of a DVD video and series of laboratory experiments I created to aid in learning of the process of neutron activation of materials. Please see my Neutron Activation Virtual Laboratory page. 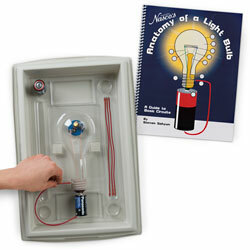 I created the "Anatomy of a Light Bulb" kit produced by Nasco for students to more easily learn how an incandescent light bulb works. For the Spring 2012 semester, I had a one-semester sabbatical as a visiting professor teaching physics at Hebei Normal University in Shijiazhuang, China. During my sabbatical, I taught a course "A Review of Introductory Physics in English" to about 35 graduate students. In addition, I edited about 30 physics papers, abstracts, and letters that were being submitted to journals. This was very interesting experience and I have created a short (7 min) slideshow chronicling my time at in China. See my Projects Page for more slideshows and fun things. 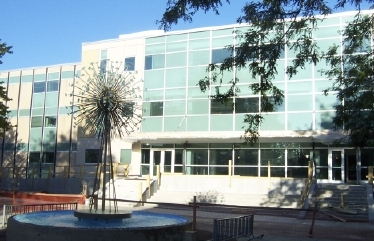 During the summer of 2013, I returned for another two month visiting professor position teaching and editing research papers. My research has also centered around students' use of auditory graphs. I worked with the Science Access Project research group at Oregon State University's Physics Department, and my advisor was Dr. John Gardner. I most recently headed studies to develop information and manuals for the TRIANGLE and Audio Graphing Calculator programs. I have also worked on non-visual methods to represent information contained in graphs and pictures that are used in physics. Specifically, I have developed web based tests to compare visual and auditory (sound) graphs. Several examples of auditory graphs can be found on the Sonitypes page. For this project I created a data conversion program, called DataReader, which converted X Y data pairs into an SLG sound file format that could then be converted into a MIDI sound file. The main focus of my Ph.D. research was centered on the Auditory vs. Visual Graph Test that I developed. This test compared subjects' abilities to answer math and physics questions when receiving either visual or auditory graphs. Another study that I developed and conducted used an Auditory Preference Test to compare subjects' preferences for different types of auditory graphs. The graphs were developed using AudioPlot controls as can be heard from this demonstration page. Results from these tests are in my Ph.D. Thesis which I successfully defended on April 30, 1999. S. Sahyun A Comparison of Auditory and Visual Graphs for Use in Physics and Mathematics Ph.D. Thesis, Oregon State University, Corvallis, OR. 1999. S. Sahyun. Mode Transitions of an External Cavity Diode Laser. (1992) M.S. Thesis, Montana State University, Bozeman, MT. R.Penland, R. Cormakc, J. Carsten, S. Sahyun, and K. M. Johnson. (1990) Holographic Sundial, Optics Letters 15 (17) pp. 929-31. For a list of Talks and Posters presented, please see my Conferences page.